November 2014 Gold Country Bonsai Club Newsletter. I hope you all had a chance to attend the Golden State Bonsai Federation’s convention held October 30th to November 2nd. The trees on display were amazing! The seminars by the 3 headlines were very educational and the trees participants took home from the various workshops were outstanding. 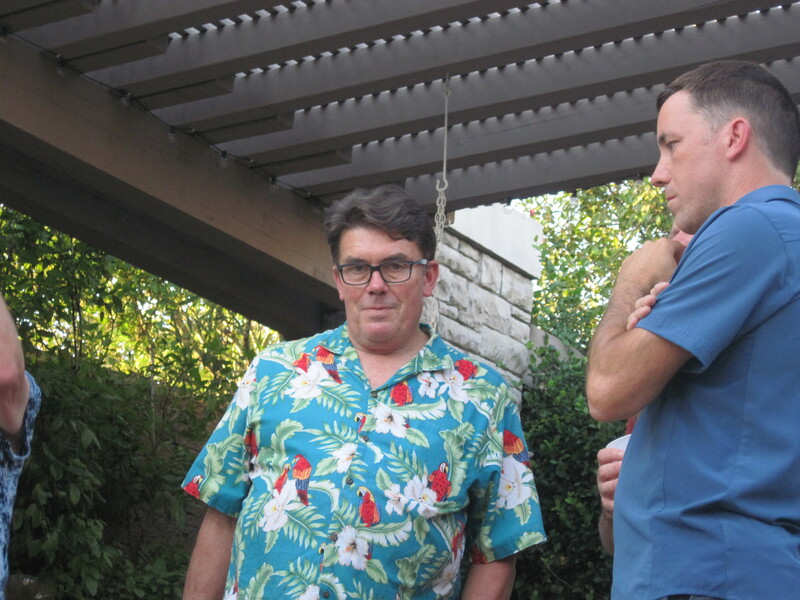 Our Scott Chadd was co-chairman of the convention, Greg McDonald was co-chair for the main tree display and Paul Holtzen was chair of the stone exhibit. They all did a great job, kudos to all three. Note: In the “Gallery” section I have added pictures (thanks Don VanDyke) of some of the trees displayed at the GSBF convention, please take a look. Fall has finally come to our area. Deciduous trees are showing us there beautiful colors. A great time of the year to enjoy our trees. Trees we can work on this time of year are black and red pines. If you cut candles in the June/July time frame than we can begin the bud selection process. This is the last month you can work on deciduous trees. You can begin to remove dead leaves and do some light pruning. For more information on what can be done this month, see Tips and Techniques by Scott Chadd further down in the newsletter and Peter Tea’s November Write-Up located under “categories” on the club’s webpage. I am in the process of finding the club a new meeting place. Our current meeting room at Burke Junction is very small and does not allow enough space to work comfortably on our bonsai. I will keep you all informed on my progress. I intention is to have a new meeting place for our January meeting. Begin by looking closely at each bonsai and removing all of the spent leaves. See if you have scale insects living on your bonsai; they may seem dry and pop off pretty easily but they are overwintering and need to be removed. Check for biting wires if you have placed wire to style in the time frame from August till now. Check to see how fast your pot is draining. If it is slow mark the tree to be repotted this winter or early spring. Because we have so many trees we have begun our repotting already and will continue to do this until early April of next year. Move your material into full sun, such as it is. Place a small object under one side of the pot so that it is tilted slightly; this will let the rainwater run off more quickly. 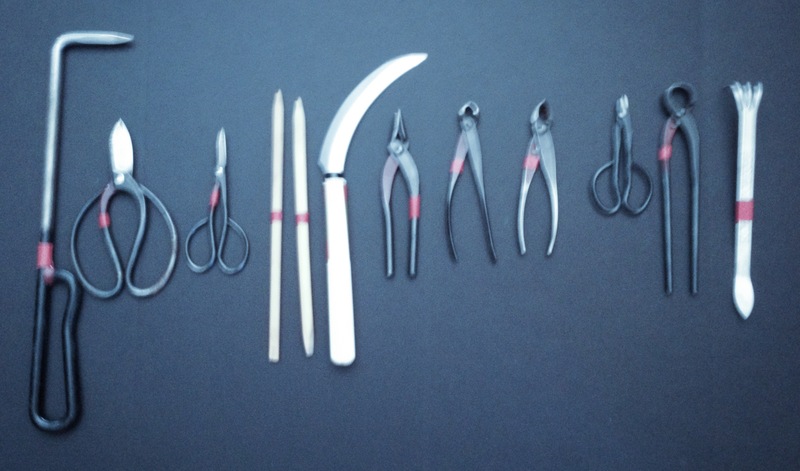 Prepare all of your repotting materials (soil, wire, screen, work area, place to put old soil, ground pruners and branch pruners) and make sure all your tools are sharp and clean. Black Pines can be cleaned up and styled from now on but should not be repotted until next spring when it begins to warm up. If you have White Pines they can be repotted from late December well into next spring. Junipers can be repotted once the days begin to warm up, usually March/April. Although it is not uncommon for us to experience a nice and warm week or two in December. Look closely at your Junipers if they seem to be getting a grey or washed out looking. This can often be a result of mites. Treat with oil and a systemic pesticide. Pines and Junipers can be lightly pruned (cutting of small branches and shoots) and wired from now on. Do not make large cuts until Spring because major open wounds invite bad things to crawl into your bonsai. Make sure that if you need to make larger cuts (1/4″-3/8″ branch) that they are very clean and sealed up good with cut paste or latex paint. November 22, 2014 (Saturday), Black Pine Workshop at Lotus Bonsai Nursery. $65/person. Contact bolet@lotusbonsai.com to register or for more information. 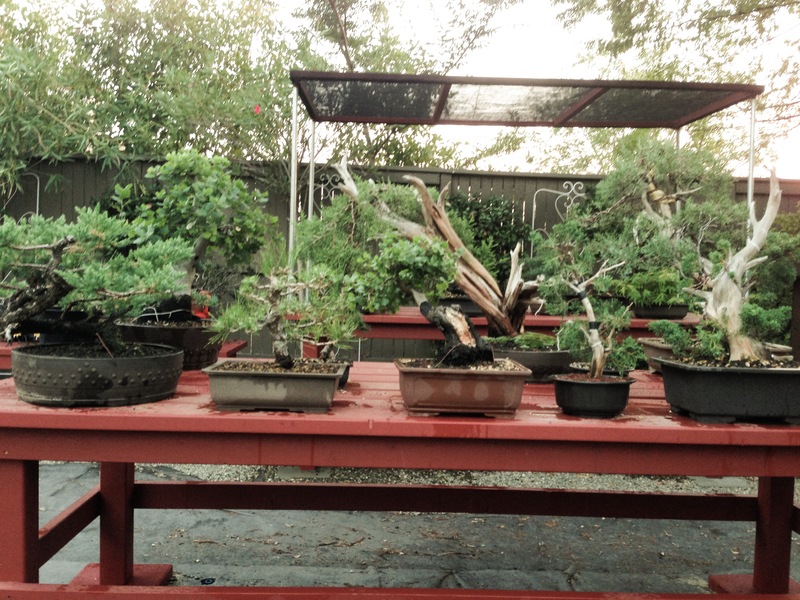 November 23, 2014 (Sunday), San Jose Juniper Workshop at Lotus Bonsai Nursery. $150/person. Includes tree and pot. Contact bolet@lotusbonsai.com to register or for more information. November 27, 2014 (Thursday), NO CLUB MEETING! HAPPY THANKSGIVING TO ALL!!! December 13, 2014 (Saturday), Create Your Own Bonsai Workshop at Lotus Bonsai Nursery. Bring your own pot and tree or buy from our nursery. Bonsai design will be based on tree and pot selection. Soil and wire are provided. $65 plus cost of material. Contact bolet@lotusbonsai.com to register or for more information. 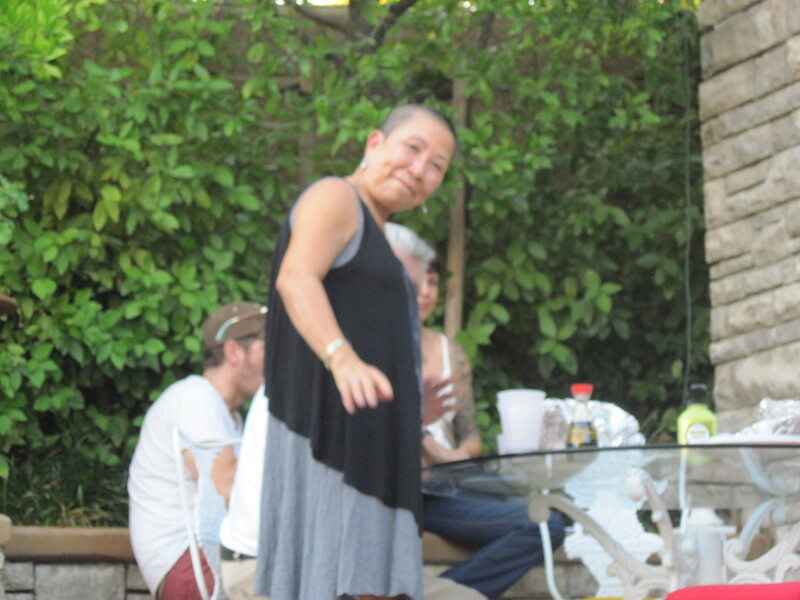 December 14, 2014 (Sunday), Better Bonsai Workshop at Lotus Bonsai Nursery. Participant will bring 2-3 of their Bonsai to the workshop. The focus will be on styling, wiring, pruning, repotting, proper care and culture of each tree and season. Solutions to pest and disease problem will be covered. We will discuss each Bonsai; make decisions about its future and take decisive action to advance the design. Wire and sil are provided as needed. Limited to six (6) students. $65 Contact bolet@lotusbonsai.com to register or for more information. December 20, 2014 (Saturday), Trident Maple Forest Workshop at Lotus Bonsai Nursery. 10-20 trees that are 8-15 years old will be placed in a shallow tray. Dynamic with great fall colors. $175 Contact bolet@lotusbonsai.com to register or for more information. December 21, 2014 (Sunday), Better Bonsai Workshop at Lotus Bonsai Nursery. Participant will bring 2-3 of their Bonsai to the workshop. The focus will be on styling, wiring, pruning, repotting, proper care and culture of each tree and season. Solutions to pest and disease problem will be covered. We will discuss each Bonsai; make decisions about its future and take decisive action to advance the design. Wire and sil are provided as needed. Limited to six (6) students. $65 Contact bolet@lotusbonsai.com to register or for more information. December 26, 2014 – January 2, 2015, California Aiseki Kai: 25th Anniversary Exhibition of Viewing Stones Show at the Botanical Center of the Huntington Library and Botanical Gardens, 1151 Oxford Road, San Marino, CA. Hours are 10:30am – 4:30pm each day (closed New Years Day). Free parking to the event. For more information go to http://www.aisekikai.com or contact hutch@aisekikai.com. Note: Addition events are listed under “Events” on the website header. Click on it to open it up and take a look. October 2014 Gold Country Bonsai Club Newsletter. We are now, according to the calendar, into the fall season. I think when we still have temperatures into the low 90″s., I am more careful on how much water I am giving my trees. With shorter days but high temperatures I am daily checking the soil to how much water is being used by the trees to stay healthy. Some trees require more water than others so checking the soil moisture is critical at this time of year. This is the time of the year we should be preparing our trees for next spring. I have begun fertilizing them with a 0-10-10 fertilizer to help develop strong roots and nutrients to carry them through the winter months into spring. This is also the time of year we can work on our High Mountain Pines. I have begun fertilizing them, but with a 7-5-7 fertilizer in preparation for next springs growth. I will begin to cut, wire and remove old needles this month and plan on repotting them next February. Juniper can be repotted this month if your area does not receive consistent freezing, if it does, wait until spring. Our September meeting in our new space at Burke Junction will not work for our needs as a bonsai club, so we will be looking for a new space somewhere in the same area. If anyone knows of a meeting place we can rent, please contact me at: paulvan9653@gmail.com with the location you know about. It was also our last formal meeting for this year, October will be dedicated to preparing for the Golden State Bonsai Federation Convention, held at the Double Tree Hotel in Sacramento. November’s meeting date falls on Thanksgiving and December meeting will be our annual Christmas Party. The Golden State Bonsai Federation Convention Committee is looking for volunteers to help out at the convention, if you are interested email me at paulvan9653@gmail.com. This is the time of year when we travel to the mountains to gather trees. It is also a good time to think about plans to repot your bonsai, cut them back, place styling wire, feed with 0-10-10. Leaves should be turning into fall color. Some will be brown and crisp while many will be turning red or gold. Move your trees to spaces where they get more sun. Make sure you mark your calendar to spray with dormant oil in December and then again in January. This will stop most fungus and a lot of the small bugs that will want to attack your bonsai in the Spring. See you at the GSBF Convention in Sacramento! 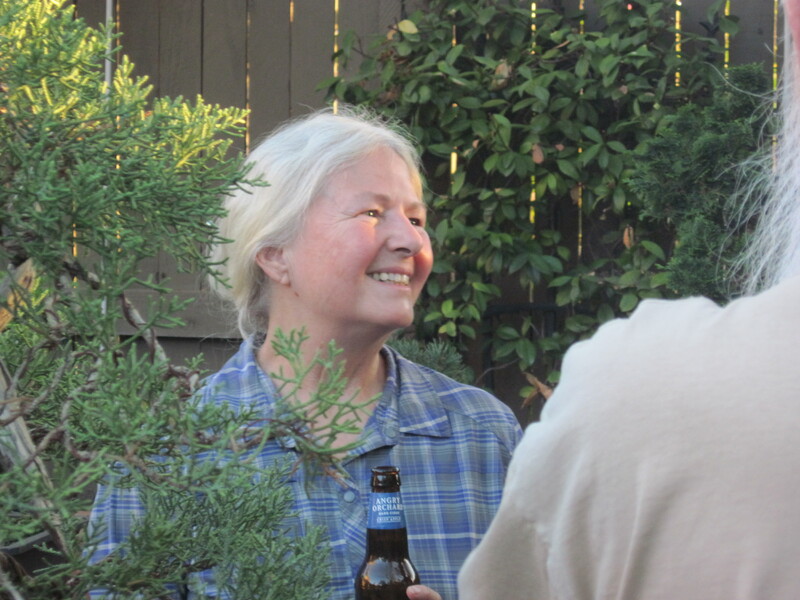 October 11 – 12, 2014, Oakland The East Bay Bonsai Society 53rd Annual Fall Show held at the Garden Center at Lake Merritt, 666 Bellevue Ave. Hours are Saturday 10AM – 5PM and Sunday 11AM – 4PM. Matt Reel will be conducting a demonstration on Sunday afternoon. Trees, pots and accessories for sale. All events free to general public. For more information, visit http://www.eastbaybonsai.org. October 18 -19, 2014, Union City Yamato Bonsai Kai 43rd Annual Bonsai Exhibition Southern Alameda County Buddhist Church, 32975 Alvarado-Niles Road. Hours: Noon to 6PM Saturday and 10AM – 5PM Sunday. Demonstration each day at 2PM by Johnny Uchida, working with advanced Black Pine material to create bonsai. Don’t miss this special event. Benefit raffle drawing each day after the demo; raffle includes demo tree. Large vendor and plant sales area; free admission and parking. Doctor Bonsai support will be available. For more information call Tony Hayworth at 510-289-5731 or bonsaicho@comcast.net or visit our club website: http://www.yamatobonsai.org. November 9, 2014 (Saturday), Better Bonsai Workshop at Lotus Bonsai Nursery. $65/person. Contact bolet@lotusbonsai.com to register or for more information. The Golden State Bonsai Federation’s Annual convention will take place at the Double Tree Hotel in Sacramento, CA from October 30 to November 2, 2014. The public is welcome to view (at no charge) the exquisite bonsai exhibits, and visit the large specialty vendor area, where tools, pots, trees, stands, and supplies will be available for purchase. 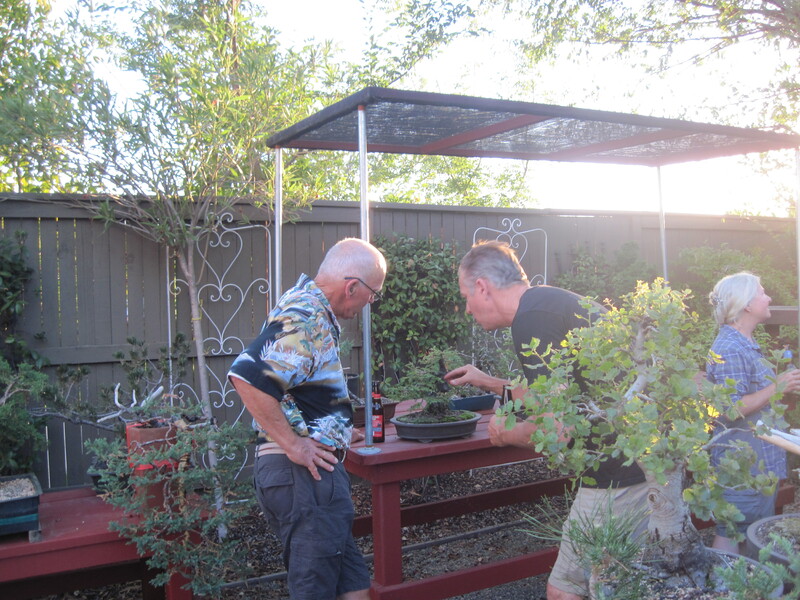 September 2014 Gold Country Bonsai Club Newsletter. Greetings to all Gold Country Members and Friends. 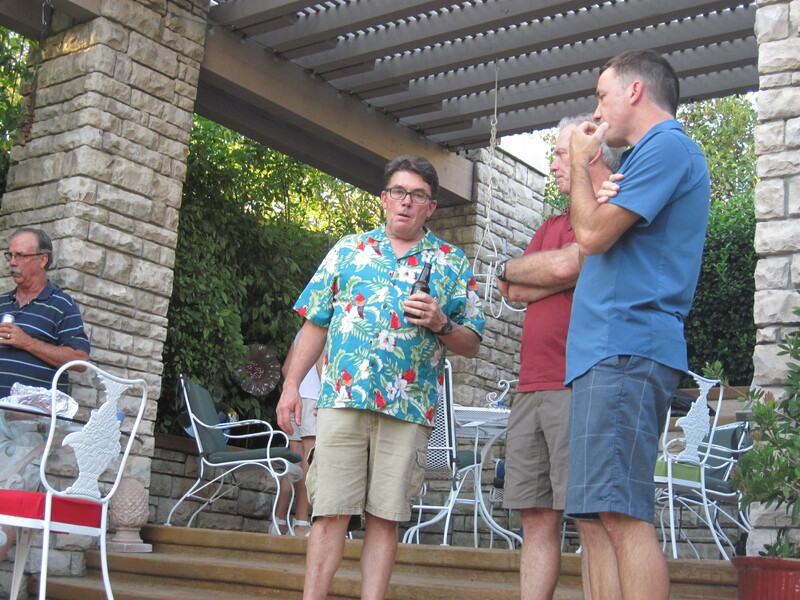 I would like to thank all the members who came to our annual club picnic. We all supplied some very good eats and had a great time chatting with each other. Kudos to David Holm, husband of our Treasurer, Sue Holm, for winning the “Power of One” full registration to the 2014 GSBF Convention. At the opening of our meeting this month I would like to talk with you about putting on a Club show in June 2015. This will be a great forum to further our bonsai education, attract new members, and for each one of us to begin to bring a tree to show quality. Your participation is essential for the show to be a success. September is here and we can begin to work on some other types of trees. We can begin working on high mountain Pines, these being Lodge Pole, Japanese White Pine, Ponderosa Pine and White Pine to name a few. They can be wired, pruned, and old needles can be removed. We should also begin fertilizing the High Mountain Pines, this is important because the food we give them will determine how well the tree grows in the spring. Fall is a good time to perform side grafting on Junipers and Pines if night time temperatures do not fall below freezing consistently during the winter months. If this is the case in your micro-climate then hold off until February. Juniper repotting can be done in either September or October if your winter temperature is mild. If your winter temps are harsh, hold off until February, same as grafting. Our September Meeting will be held at Burke Junction, beginning at 6:30 p.m. (new time) and in a new room, B5, which is located across the open space and to the right of our old meeting room. The Gold Country Bonsai Club sign will be out to point the way. See you all on the 25th. Now is a good time to begin feeding gently with 0-10-10 (phosphorus and potassium) to strengthen root and lower trunk to provide for a good start next spring. Keep an eye out for woolly aphids, spider mites, scale and spittle bugs. They are all active at this time of year. If you find them try physical systems first (spray with hose, scrape off with hands or toothbrush, use a damp cloth) and then follow up with oil. Don’t put oil on any plant that will get the sun that day. Apply in the evening and avoid the leaves because the oil will burn them. Check the wires you applied in Spring and Summer (after defoliation). Your trees are actually beginning to put on a spurt of growth and the wires will bite really fast. Check the speed of drainage in your pots. Any bonsai that have slowly draining pots need to be repotted. Mark them with something you can find really easy so when the leaves are gone you can begin repotting without have to search around your collection. September 27-28, 2014, Penryn. Sierra Bonsai Club Show and Buddhist Church Festival Placer Buddhist Church 3192 Boyington Road, Penryn, Annual Teriyaki Festival & Bazaar. Saturday 11 to 5, Sunday 11 to 4. Open to the public. This is a very popular community event and a well-attended chicken teriyaki barbecue festival, serving 5,000 chickens during the weekend. Our Scott Chadd will be doing afternoon demonstrations both days. A must-go-to event. Contact Mark Knittle at 530-401-2610 for more information. *Please note that as of September, club meetings will still be held in the Burke Junction Shopping Center. Only the room number has changed to B5. Our sandwich sign will be out to direct you. 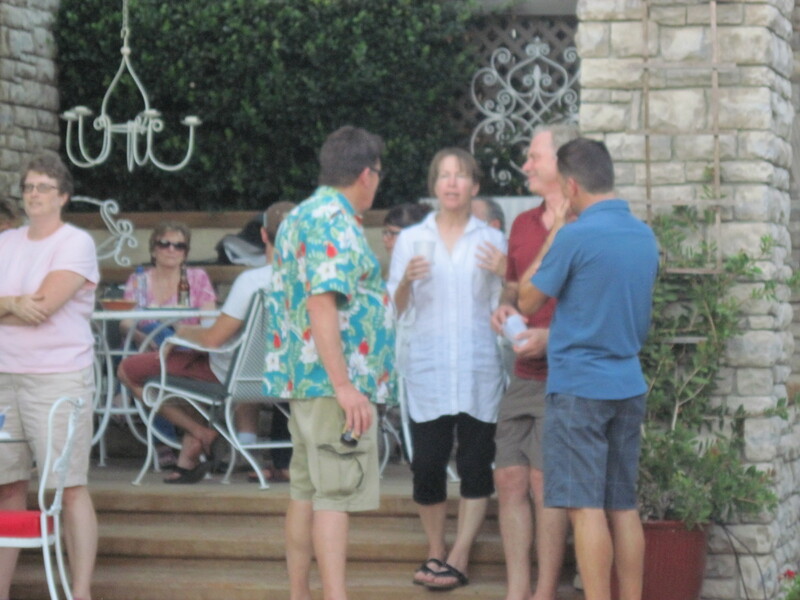 The start time has also changed to 6:30 p.m.
Ellen giving a horticultural lesson to Don, Paul and Andy. Jennifer laughing at Scott’s jokes. Don and Greg inspection a redwood. 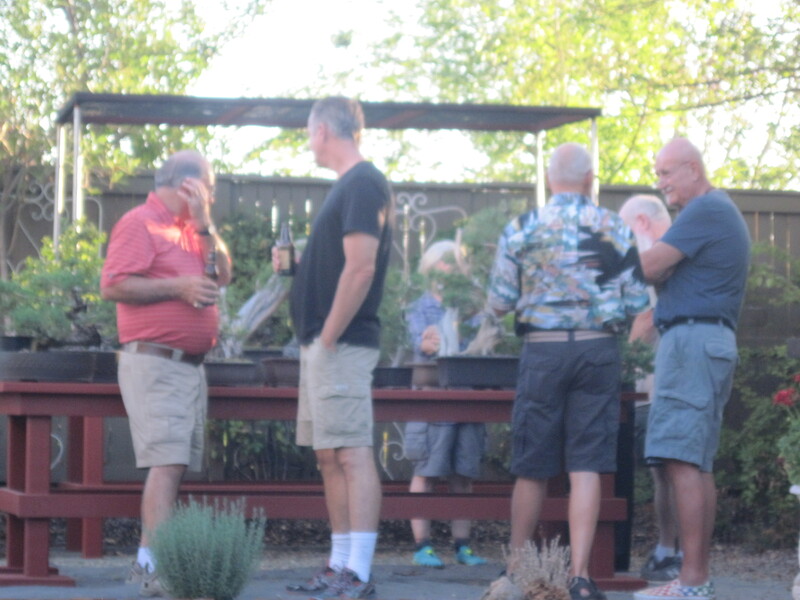 August 2014 Gold Country Bonsai Club Newsletter. Greetings to all Gold Country Members and Friends, I hope your trees held up during the hot weather of July. We still have August to get through but so far we have not had consistent upper 90’s low 100’s. The evenings have brought cooler temperatures so hopefully we soon will be over the hot weather and our trees will not be so stressed out. By now you all should have received the invitation to the Club’s annual “Barbecue”! I am looking forward to seeing you all at my house on Thursday the 28th; it is always a fun night. We will be raffling off a full GSBF Convention Registration to a lucky club member, which is valued at $289, so email me with your RSVP; also indicate your significant other or family who will attend and what side dish you will be bring and I will email you with my address and the gate code to enter the community. We stopped feeding our bonsai about 3 weeks ago. Toward the end of September we will treat them all with 0-10-10 to help them get ready for winter. The last month has been used to defoliate Japanese Maples, trim the big Chinese Elms, work on all the different trees that are growing here. This time of year is the “Dog Days”, it is so hot that going outside for an hour can be a real effort. Drink lots of water and make sure your bonsai are given plenty of water also. The Maples that we defoliated three weeks ago are making such nice small (and green) leaves to replace the ratty brown ones that were just hanging on. Not many pests this time of year for us. September 27-28, 2014, Sierra Bonsai Club Show and Buddhist Church Festival Placer Buddhist Church, 3192 Boyington Road, Penryn, Annual Teriyaki Festival & Bazaar. Saturday 11-5, Sunday 11-4. Open to the public. This is a very popular community event and a well-attended chicken teriyaki barbecue festival, serving 5,000 chickens during the weekend. Our Scott Chadd will be doing demonstrations both days. A must-go-to event. Contact Mark Knittle at 530-401-2610 for more information. October 30-November 2, 2014, Golden State Bonsai Federation Convention Double Tree by Hilton Hotel — 2001 Point West Way Sacramento, CA 95815 Thursday, Friday, Saturday, Sunday. Seminars and workshops all four days. 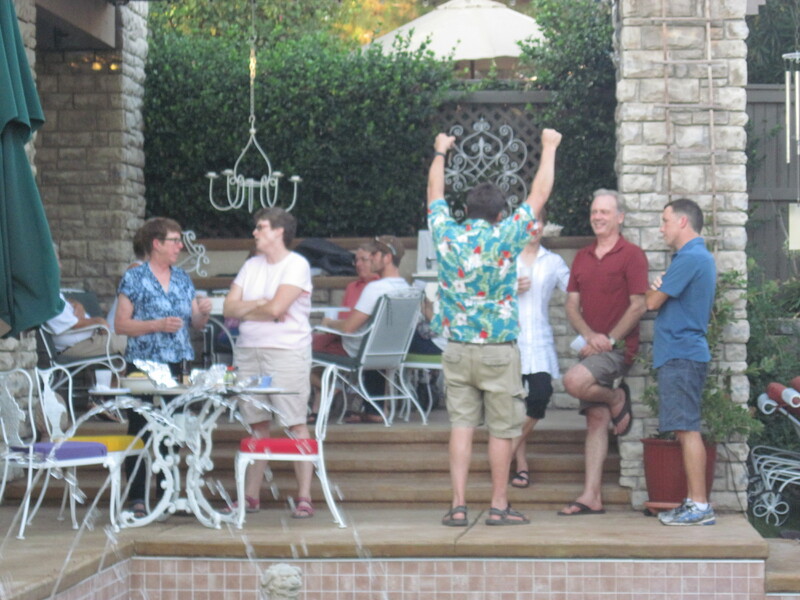 In Lieu of our usual meeting we will be holding our Annual Summer Potluck on Thursday August 28, 2014 from 6-9pm and will be held at the Vandlik Home 111 Gage Ct, El Dorado Hills. To RSVP, call Paul at (916) 476-0583. To get gate code and tell him what dish you will be bringing.